Lily was working her shift at the Girl Scout cookie booth. Navy was bored about 30 minutes in to Lily’s 90 minute shift. 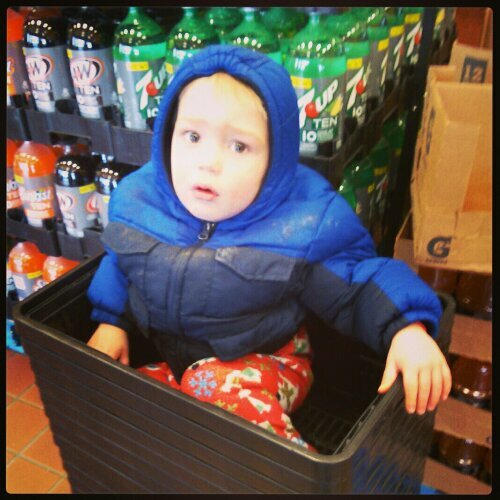 He kept making a mad dash for the door, so I mad him sit in the baskets. He did not like this at all. ← Project 365: Day 46 – Good Luck Chana!